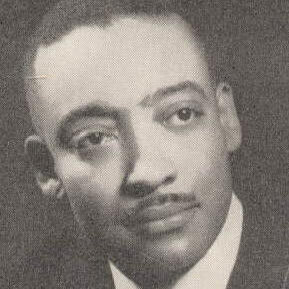 July 30, 1970 Louis E. Lomax, author and the first African American television journalist, died in a car accident when the brakes failed on his car near Santa Rosa, New Mexico. Lomax was born August 16, 1922 in Valdosta, Georgia. He earned his bachelor’s degree from Paine College in 1942, his Master of Arts degree from American University in 1944, and a Ph. D. from Yale University in 1947. He began his journalism career at the Afro-American and the Chicago Defender newspapers. In 1958, he became the first black television journalist when he joined WNTA-TV in New York. In 1959 Lomax and his colleague, Mike Wallace (60 Minutes), produced “The Hate That Hate Produced,” a five-part documentary on the Nation of Islam. At the time of his death, Lomax was working on a documentary concerning the role of the FBI in the death of Malcolm X and he had a 141 page FBI file. Lomax authored five books, including “The Reluctant African” (1960) and “To Kill a Black Man” (1968). October 2nd in African American History – Robert Henry Lawrence, Jr.